An "atmospheric" theater that caused a dust-up between two theater chains. Construction of the Granada immediately led to a game of “chicken” between Rubenstein and Kaplan (R&K) and their rivals, Moses Finkelstein and Isaac Ruben (F&R). F&R owned a chain of Twin Cities theaters including the Lagoon (now the Uptown) just a block away; they did not want competition. F&R offered to buy the partially built Granada from R&K. 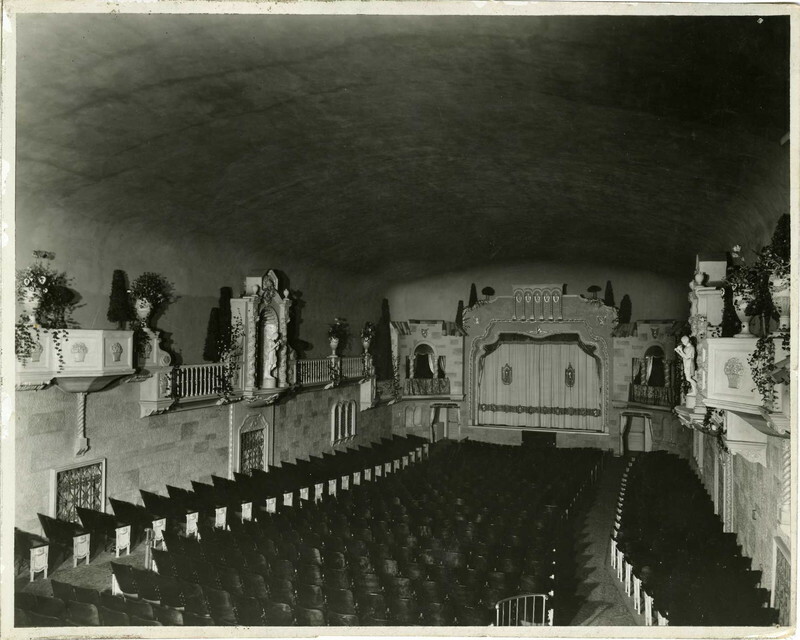 When R&K rejected the offer, F&R threatened to reopen the nearby Calhoun Terrace Ballroom (now Stella’s Fish Café and Prestige Oyster Bar) as a competing atmospheric theater; the ballroom had originally been built as the Calhoun Theater. This tactic caused R&K to give in; they sold the Granada to F&R, who abandoned the Calhoun redesign and turned their attention to promoting both the Granada and the Lagoon. 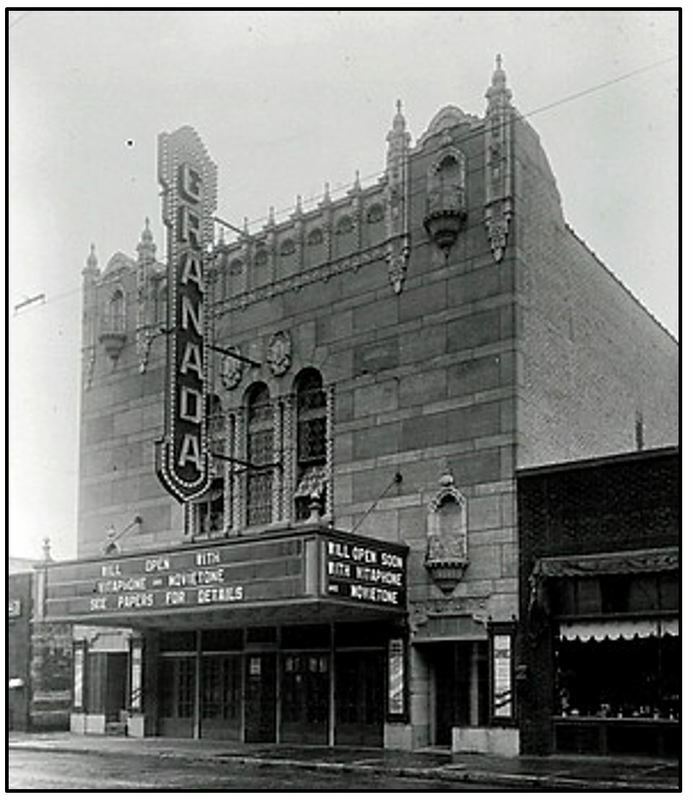 The Granada’s façade was faced with Kasota Stone, Minnesota’s premier building stone, and is in the Churrigueresque style, named for José Benito de Churriguera (1665–1725), a Spanish architect who first used the style on churches. The Churrigueresque style includes elements borrowed from Moorish (i.e., Islamic) architecture, including the niches made to look like balconies and the elaborate cornice at the top. Originally, exit doors on both ends of the Granada’s façade had ornate metal grates; similar grates survive on the big round-topped second-story windows. Inside, the auditorium is decorated as a Spanish courtyard with balconettes, trees, and windows that protrude into the space. As lights dim at the beginning of a movie, the blue ceiling imitates the night sky with tiny sparkling stars and clouds and a moon that slowly move across. In 1954, the theater was renamed the Suburban World, one of Ted Mann’s chain of World Theaters in Minneapolis. Mann remodeled the theater in 1959, and in 1966, the current marquee replaced the original box marquee and blade sign. 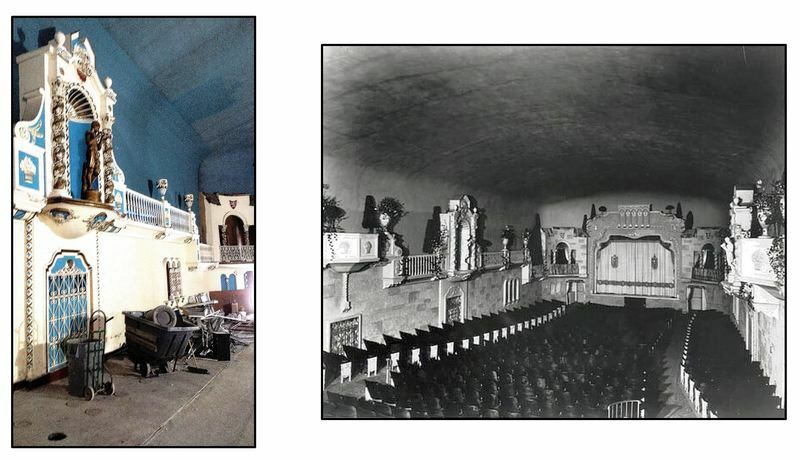 Art movies were shown until 1983; then the building was used for both live music and films. In 2003, the exterior was listed as a local historic landmark, and in 2016, the interior was added to that designation. The building has been closed since 2014. 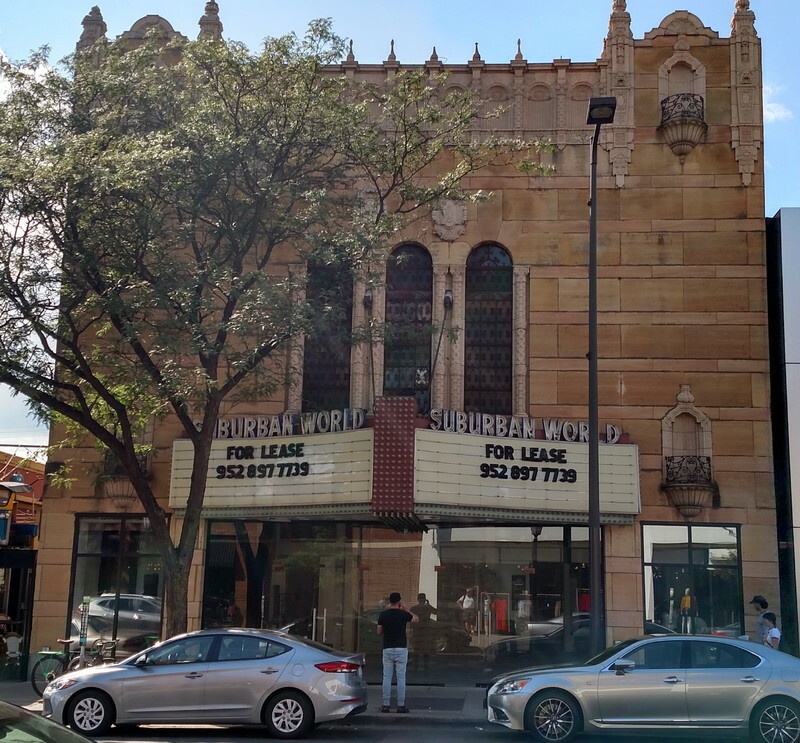 Edited by Richard L. Kronick, “Granada/Suburban World Theater,” Minneapolis Historical, accessed April 22, 2019, http://minneapolishistorical.org/items/show/135.